Join us for this unique two-night class! We will be partnering with the Candle Collective for a great holiday decoration! On Tuesday December 4th from 7-9 pm enjoy an evening at the Candle Collective crafting a unique holiday candle. 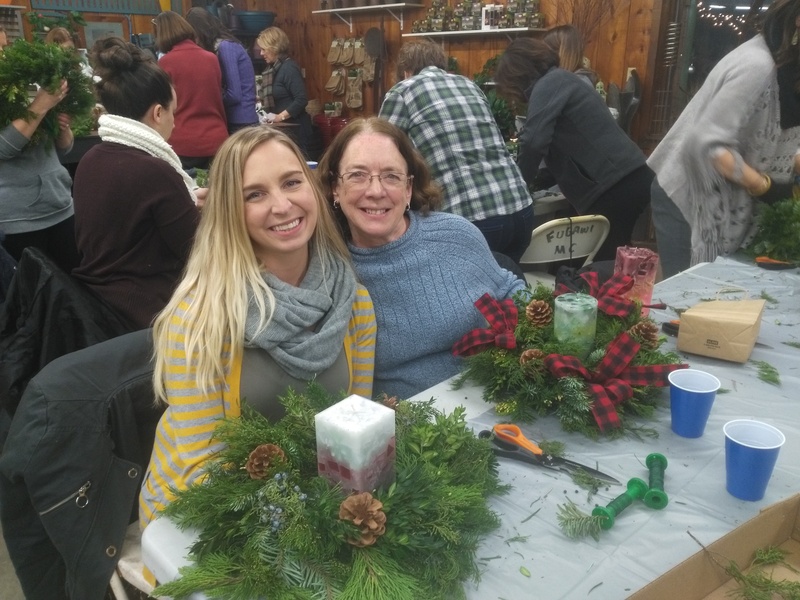 Part two of the class will occur at Brookside Nursery on Thursday December 13th from 7-9 pm. You will make a beautiful table top fresh greenery centerpiece to surround your newly crafted candle. The perfect centerpiece for your holiday meal! Please call or stop in to Brookside Nursery to register for this wonderful two-night event! Brookside Nursery and The Candle Collective have partnered with the Ballston Spa Education Foundation for this “Learn Local” event. It’s a great way to have fun and learn while giving back! A portion of each ticket will be donated to the Ballston Spa Education Foundation. Tickets must be purchased in advance. The BSEF is a volunteer, not-for-profit corporation dedicated to raising and distributing funds for educational enrichment outside the realm of the daily operational needs of the Ballston Spa Central School District.